At the November 2014 Alliance Board of Directors’ meeting, the board members signed off on The Alliance’s next campaign topic and decided on what to call it. 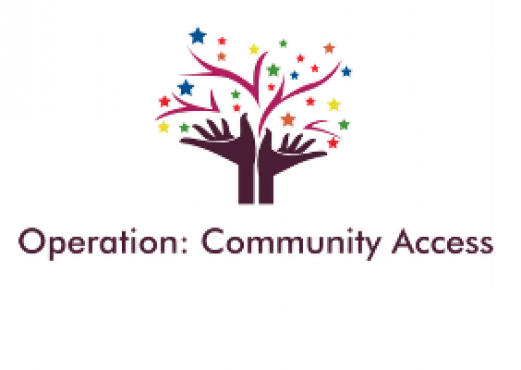 Operation: Community Access is a campaign that started at the 2014 Speak Up and Speak Out Summit, and is aimed at providing individuals with more day options. Under the developmental disability waiver, self-advocates have day program options. Some do what is called in-home work; others have supported employment in the community; and most do some sort of developmental training at their workshop or agency. What The Alliance is hoping to do is add a new service to the waiver called “Community Access” that will give self-advocates in Illinois more flexibility & choice in what they do during the day. It will also allow agencies more freedom and flexibility in providing programs during the day as well. We have finished collecting petitions, but you can still spread the message of the campaign check out our handouts below! If you would prefer a printed copy, download one here. And here is a little handout to pass along to your allies. It will help you explain the campaign. Would you like to help out with the campaign? Anyone can, even if they only have a few minutes. Take a look at our Got Time Handout to get ideas on how to advocate in a time crunch!